Experience the charm of a community farm fair during the late 19th century. Visitors can stop by the livestock and domestic arts tents to find out who has won blue ribbons and watch demonstrations of the latest hay mowers and other farm equipment. Join in the fun by participating in various games and competitions. Don’t forget to buy a delectable treat from the bake sale table. This recreated historic event will include food, music and more! This event is for all ages. Admission is free. Travel back in time and experience the rural community of Schaumburg’s youth. 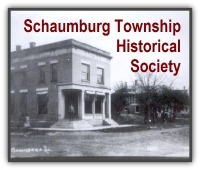 First generation German immigrants brought their culture and traditions to Schaumburg, including a strong sense of community and fellowship. Bring a family picnic and partake in the merriment as historical intrepretive staff re-enact a summer day in the 1880’s. *Adult beverages, soft drinks and food will be available for purchase. Schaumburg and what it has to offer has definitely been in the news in the past couple of weeks. Two weeks ago the blog took you to a Chicago Tribune article about the upcoming renovation at Woodfield. This week it’s taking you to a Daily Herald article about part of an episode of “Empire” being filmed at the Merkle cabin at Spring Valley. The cabin is being incorporated into the show as a weekend hideaway for two of its characters. Judging by the photo above, it’s a perfect idea. Thumbs up to the location scouts on pursuing the unusual! 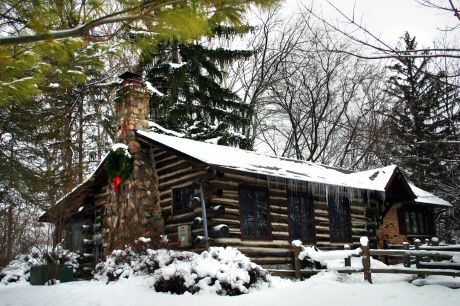 The Adirondack-style Merkle cabin was built in 1927 by John Redeker, the great grandson of Johann Boeger, the original land grant owner of the Spring Valley property. Around the same time, Redeker began propagating parts of the property into large peony fields with the intent of starting a wholesale flower and root business. Unfortunately Redeker died in 1930 and the business lasted for only a couple more years. The Merkle family held the property for 35 years, making countless trips from Evanston to their personal, family retreat enjoying all the rural countryside had to offer. After Frank Merkle’s death, the property was eventually acquired by the Schaumburg Park District in 1979. 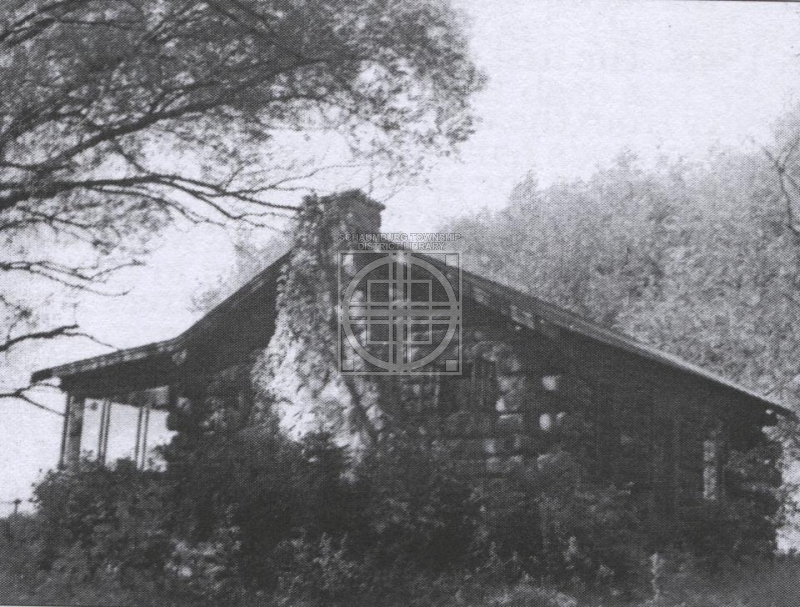 In 1983 Spring Valley Nature Sanctuary opened and programs were held in the Merkle Cabin which operated as a temporary nature center and administrative office. Park District programs continue to be held in the Cabin to this day. The uniqueness of this structure lends itself nicely to the enclave that is Spring Valley. It’s wonderful that others outside of our area appreciate what it has to offer too! 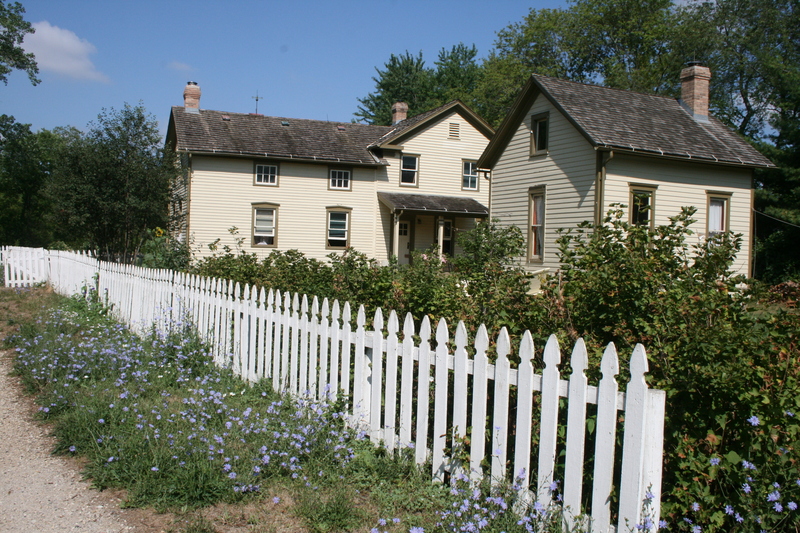 With spring bursting out all over, take the time to discover the remnants of the JH Redeker Peonies farm located on the grounds of Spring Valley in Schaumburg. The beautiful, fragrant flowers can be approached from both the Vera Meineke Nature Center and the Volkening Heritage Farm on the Spring Valley property. 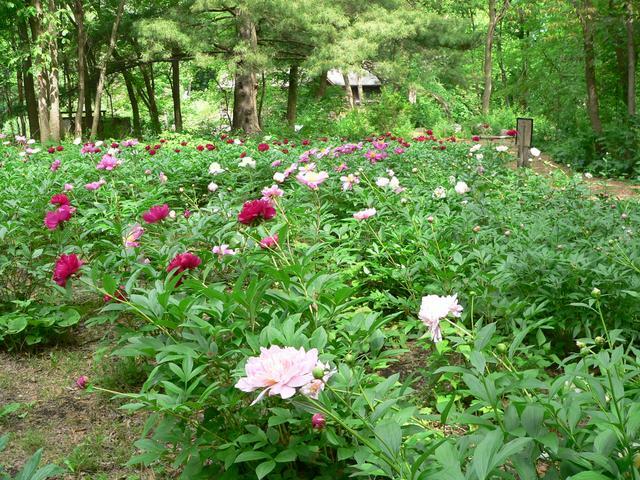 Spring Valley will be sponsoring a tour and an overview of the Redeker peony farm on Sunday, June 8. Drop by anytime between Noon and 4 p.m. and you can view the descendants of the original peonies that grow there today. In 1927, John Redeker, son of Friedrich and Wilhelmine (Boeger) Redeker, used some of his mother’s Boeger land to start a wholesale peony flower and root business. Unfortunately, John died suddenly on December 29, 1930 at the age of 30 and the business survived for only a short time afterwards. I was told that, not only was it a struggle to keep the business going during the height of the Depression, but peonies grown in the St. Louis area were available one to three weeks earlier and could easily be shipped to the Chicago area by new refrigerated trucks. By 1932 John’s mother sold the property to Frank Merkle who used it as a getaway for his family. When staying on the farm, they lived in the Adirondack-style log cabin built by John Redeker that still stands on the Spring Valley property. Frank Merkle must have attempted to continue the peony operation for a while because one of our oral historians said his brother, George Engelking, worked for him tending the flowers. You don’t want to miss this special time of the year viewing these nearly 90-year old plants. They’re gorgeous!